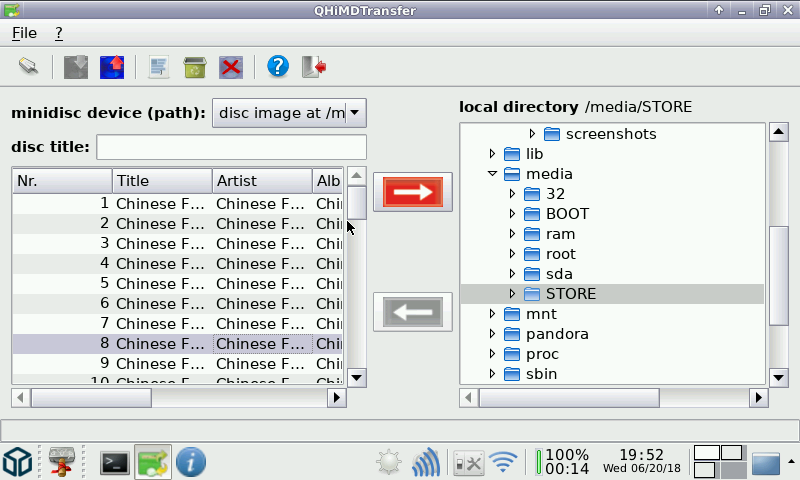 Free software for accessing MiniDisc devices. 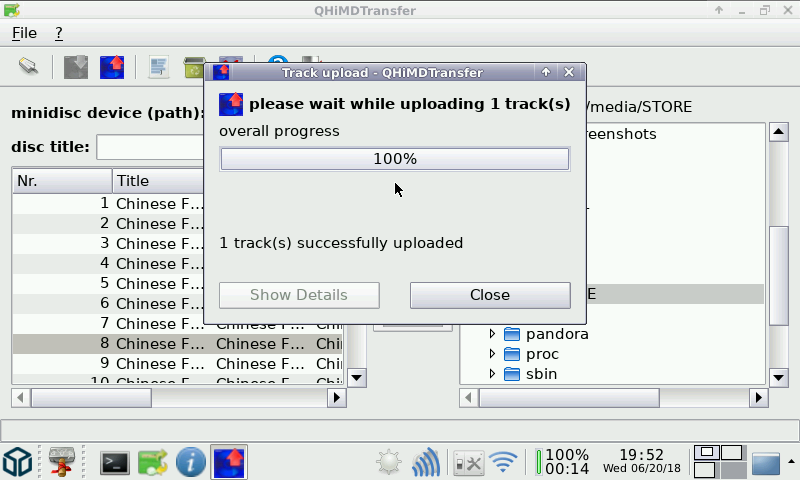 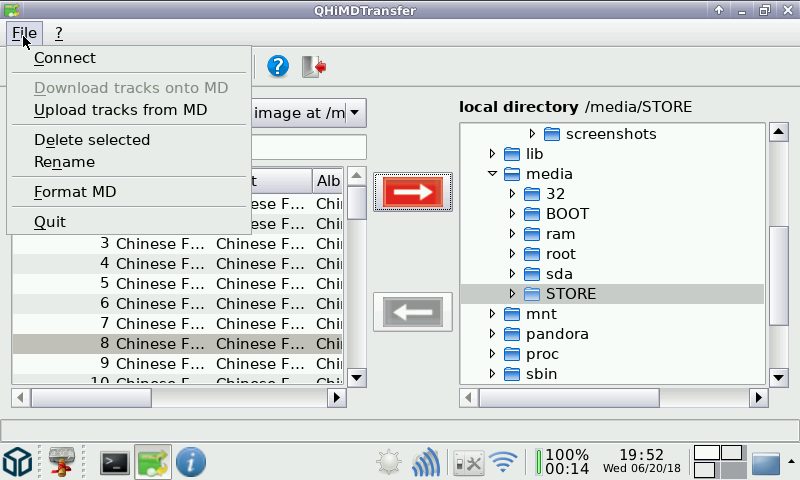 This package contains qhimdtransfer, a Qt gui for transfering songs to/from minidisc. 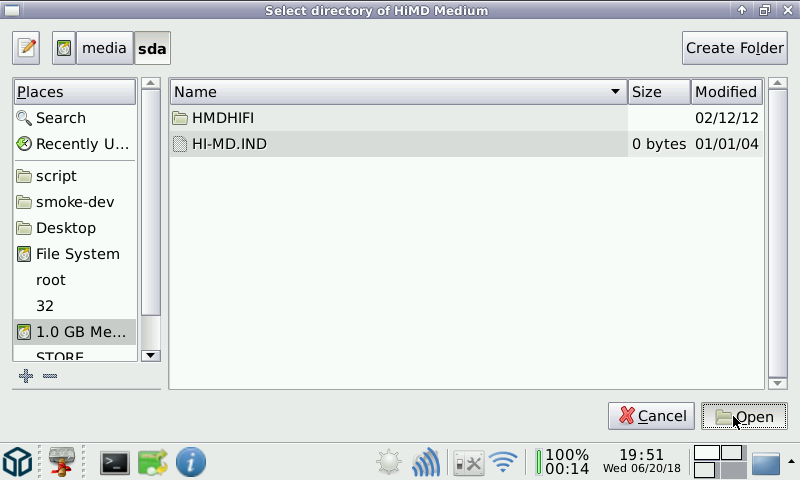 It can handle himd, netmd, mp3, PCM and atrac.